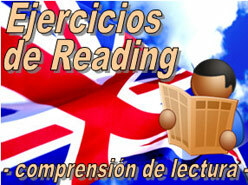 - En esta sección de EJERCICIOS DE INGLÉS DE COMPRENSIÓN DE READING se encuentran recopilados y agrupados los ejercicios de Reading publicados en nuestros Cuadernos de Inglés para que tengas un acceso más organizado y sencillo a los mismos. Dado que mensualmente se distribuyen nuevos cuadernos, el material irá progresivamente incrementándose con con los nuevos ejercicios que vayan incorporándose. Cada ejercicio incluye las correspondientes respuestas correctas. Cada Sección de Ejercicios consta de VARIAS PÁGINAS para cada apartado. Al final de cada página encontrarás la opción para acceder a la siguiente o trasladarte a cualquier página de la actividad que estés realizando. *Si deseas disponer del nuevo material en menor tiempo suscríbete a nuestro Cuaderno de inglés. *Tienes más ejercicios de Lecturas en inglés en nuestra sección de Lecturas. 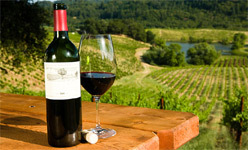 Read the article about a North American wine company and answer the following questions. 1. What is Paul Jones responsible for? 2. Who heads the company? 3. Is the company successful? 4. What reason does Tony Swan give for distributors buying more wine produced in the US last year? 5. Does Tony Swan think that the average American expects a bottle of wine that costs $10 to taste good?. Greentree Wine Company has been producing premium wine in the Napa Valley since 1980 and markets wine under the Brown Canyon, Swan & Lewis and Stratclith labels. In addition, GWC produces several private labels for both domestic and international customers. Last year, GWC bottled over 500,000 cases between their own brands, private labels and custom bottling contracts. The Swan and Lewis label, which retails for about $10, grew by 53 percent in 2012. Swan and Lewis includes a Chardonnay, Cabernet Sauvignon, Merlot, Syrah, Zinfandel and Pinot Noir. The package was recently updated and includes the slogan, "Stick your nose in our business." The company is headed by Tony Swan and Glen Lewis who created the Swan and Lewis label in 1990. Paul Jones is responsible for wine production and has worked exclusively for the firm since 1992. The primary reason Swan & Lewis experienced record growth last year is that key distributors got behind the brand. Swan said the secret of their rapid growth was "being with the right distributors at the right time." He credits the rise in the value of the euro relative to the U.S. dollar for making reasonably priced California wines more attractive to distributors that previously were interested mostly in imports. "A lot of our distributors were strong in imports but felt it wasn't a bad idea to have something from California," he said. "We need to be with medium-sized distributors, and we need to be with medium-sized distributors that actually care about us, which is not the same thing." Swan commented that with many wines designed to retail for $10, much of the emphasis is on marketing instead of what the wine tastes like. "We depend on the wine," he said. "I think $10 is an interesting price point," Swan said. "It's a price where almost anybody can afford to buy but high enough where you can do something slightly interesting as far as the wine is concerned. I think the American consumer has become more sophisticated and is looking at interesting wines for around $10." que puedes descargar en 1 único archivo. Before you read the following article on the mobile phone market in Africa, try to predict the answers to these questions. 1. What is the growth rate of Nigeria’s mobile phone market? 2% / 25% / 50% / 100% per year. 2. What percentage of the population used mobile phones in Africa in 2011? 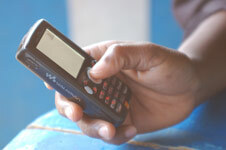 GMobile phone use in Africa is growing faster than anywhere else in the world, according to a report. The study, backed by the UK mobile phone company Vodafone, said African countries with greater mobile use had seen a higher rate of economic growth. The report, supported by the Centre for Economic Policy Research, studied the social and economic impact of mobiles. Small businesses in South Africa rely on mobiles, the report said, while Nigeria's market is doubling annually. The report's positive results come despite separate figures which show the proportion of people using mobile phones in much of Africa remains low in international terms, averaging about 6% in 2011. Mobile and land line networks - in addition to the openness of an economy, GDP growth and infrastructure - are positively linked with foreign inward investment, according to the report. • More than 85% of small businesses run by black people, surveyed in South Africa, rely solely on mobile phones for telecommunications. • 62% of businesses in South Africa, and 59% in Egypt, said mobile use was linked to an increase in profits - despite higher call costs. • 97% of people surveyed in Tanzania said they could access a mobile phone, while just 28% could access a land line phone. • A developing country which has an average of 10 more mobile phones per 100 population between 1996 and 2003 had 0.59% higher GDP growth than an otherwise identical country. Income, gender, age, education - and even the absence of regular electricity supplies - do not create barriers to mobile access in rural areas, the report said. Handsets are often shared by smaller communities. Stephen Yeo, chief executive of the Centre for Economic Policy Research, said mobile phones had enabled developing countries to "leapfrog" old technologies. "The result is explosive growth - 5,000% in Africa between 2003 and 2007," he said. "This research... provides the first concrete evidence of a link between social and economic development and the establishment of mobile phone networks." Diane Coyle, of consultancy Enlightenment Economics, said many people were finding ways to reduce the cost of making mobile calls. "Even in very poor communities, a lot of people share mobile phones," she said. "In Tanzania, for example, there were as many people using somebody else's mobile phone as actually owning one." Currently, there are more than 82 million mobile phone users in Africa. - Dispones de LIBROS y LECTURAS gratuitas en nuestra Web así como Libros en Inglés y Español en LECTORVIRTUAL.